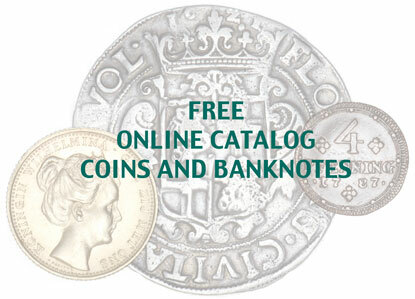 The goal of this website is to offer both beginning and experienced collectors a chance to assess the real value of (primarily Dutch) coins and banknotes. On the numismatic market prices tempt to vary a lot and printed catalogues seldom give a realistic assessment. At coinprizes.nl we show the prizes that people have actually paid for a coin or banknote! Coinprizes.nl is a free service offered by mooiemuntjes.nl – the renowned numismatic webshop specialized in Dutch coins and banknotes. Besides the extensive webshop with a wide range of products, mooiemuntjes.nl also has a 24/7 auction where you can acquire some very attractive lots. Mooie Muntjes is well known for its excellent service, large collection and fair prices. We hope to welcome you as a customer.